The Boars, Gore, and Swords book club continues with the Boiled Leather chapter order combining George R.R. 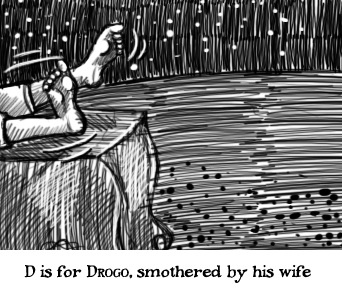 Martin's A Feast for Crows and A Dance with Dragons. 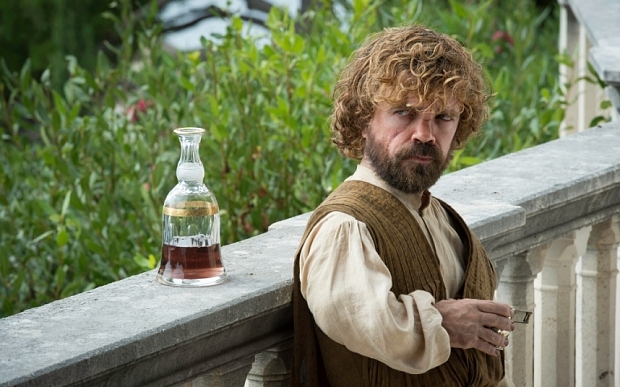 On this week's "Holes Want Filling," Ivan and Red cover Cersei I (AFFC), Tyrion I (ADWD), and Daenarys I (ADWD), and discuss ceremonial robes that didn't make it to television, Cersei's continued fall down the priorities ladder, and which actors are too dignified to be stuck in a wine cask. 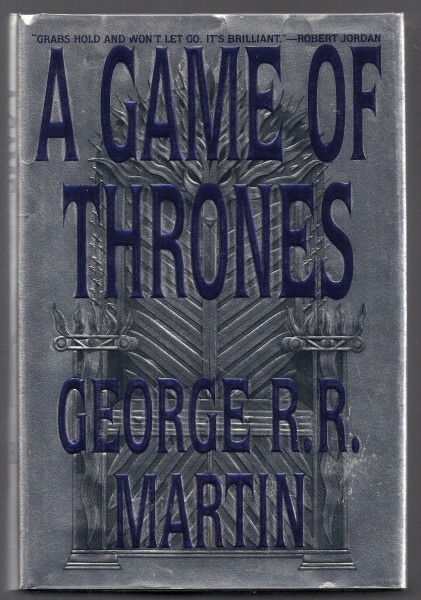 Recent comers to Game of Thrones may be surprised to discover that the first book in the series is 20 years old today. Though we now know it as the fantasy juggernaut keeping HBO and podcasting afloat, the scene George R.R. Martin describes on his livejournal at the book's release is much more modest. Reviews were generally good, sales were... well, okay. Solid. But nothing spectacular. No bestseller lists, certainly. I went on a book tour around that same time, signing copies in Houston, Austin, and Denton, Texas; in St. Louis, Missouri; in Chicago and Minneapolis; and up the west coast to San Diego, Los Angeles, Berkeley, Portland, and Seattle. Turnouts were modest in most places. The crowds didn't reach one hundred anywhere, and at one stop (St. Louis, if you must know), not only was attendance zero but I actually drove four patrons out of the bookshop, allowing me to set my all time "bad signing" record at minus four (on the plus side, I had the time for long friendly talks with the readers who did show up). In honor of the 20th anniversary, Martin is releasing Game of Thrones: The Illustrated edition, featuring "a total of seventy-three (73) black and white interior illustrations, and eight (8) spectacular full color plates" from artists such as John Picacio, Paul Youll, Gary Gianni, Didier Graffet, Victor Moreno, Michael Komarck, Arantza Sestayo, Magali Villeneuve, Ted Nasmith, Levi Pinfold, and Marc Simonetti. I'd thought the whole story could be told in three books, and that it would take me three years to write them, a year per book.